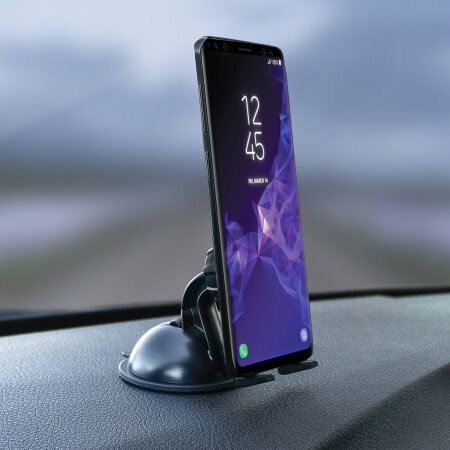 The Olixar Dash Genie is the only phone holder you will ever need - ideal for any dashboard or windscreen. The holder works very good. 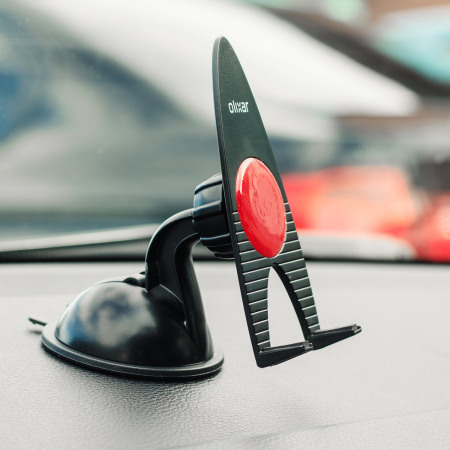 You can put it on the windshield or the dash and it stays in place and holds the phone. 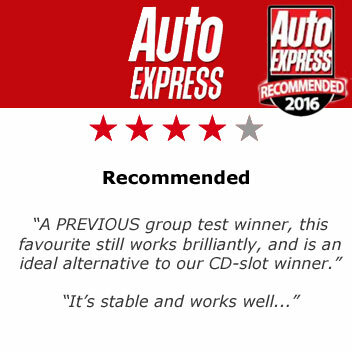 Great product , well worth the money. 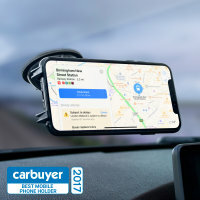 This adheres to nearly every impermeable surface in the vehicle reliably, even the curved dimpled dash, without marking the surface and comes of cleanly. It also adheres reliably to the various devices I have used it with (up to 5.5 inch phone, not tried anything bigger). It occasionally needs to be cleaned by washing in soapy water and rinsing. The surfaces need to be reasonably clean so if your dash/phone is filthy forget it or clean it. Keep the pads covered (keep the film covers its packed with) when not in use or they will be fouled by dust and need cleaning to restore function. In portrait mode there is little room for a charger lead butits not impossible. 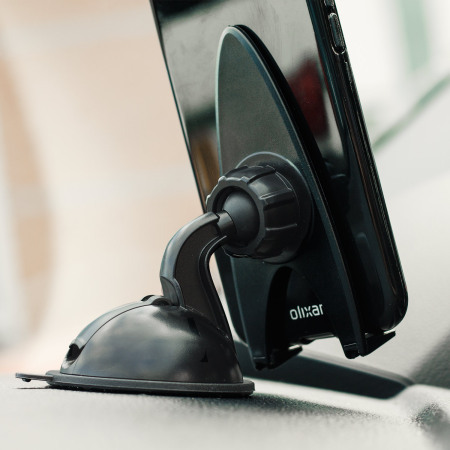 The Olixar Dash Genie allows you to mount your mobile device securely on either the dash or windscreen. 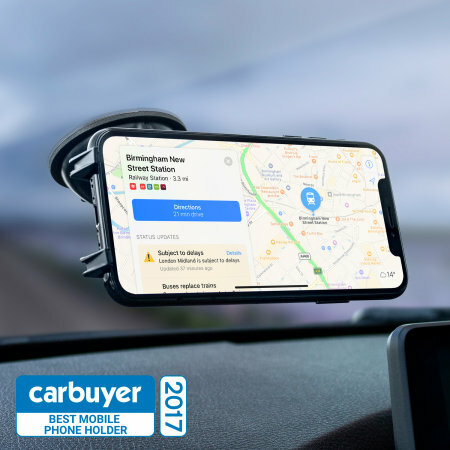 This allows you to use your device for a number of different things, whether it's for a sat nav, music playback or just for mounting it in a comfortable position - keeping your phone in sight without blocking your view of the road. 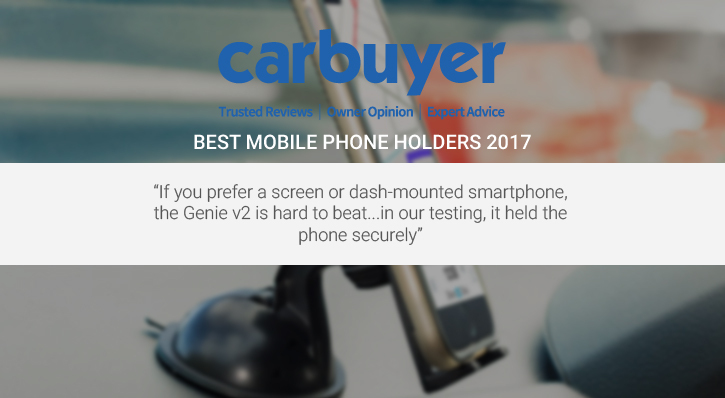 Even if your dashboard has a dimpled or textured surface, the Olixar Dash Genie still offers maximum grip so your phone will remain secure. 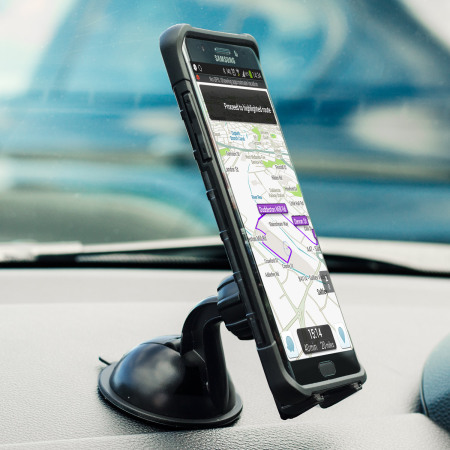 This holder is designed to secure your mobile device at any angle. 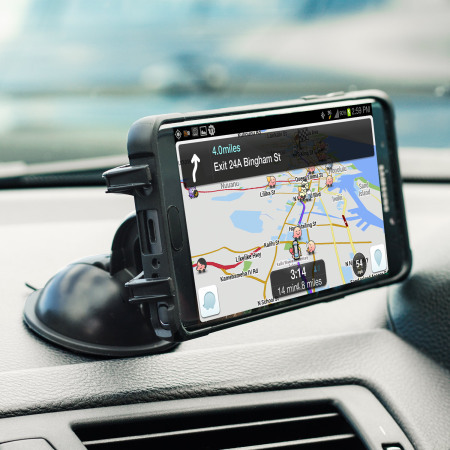 It does so using an innovative rubber material, gripping securely to the device. 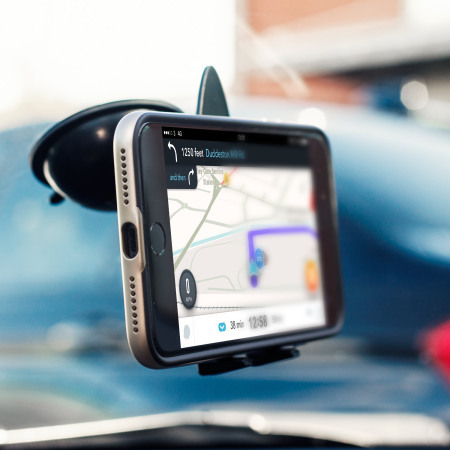 It is also designed so that if you are travelling over uneven road surfaces, the vibrations will not affect the Genie's grip. Furthermore, this fantastic material is adhesive-free and reusable over time. 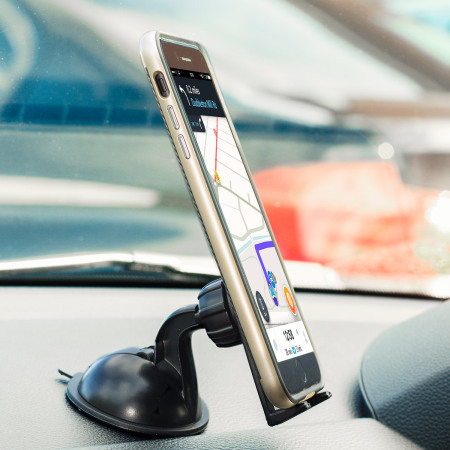 Unlike other car holders which include jaws or clamps to hold your device, the Genie features a universal design that will accommodate phones and other devices (mp3 players) of all sizes. 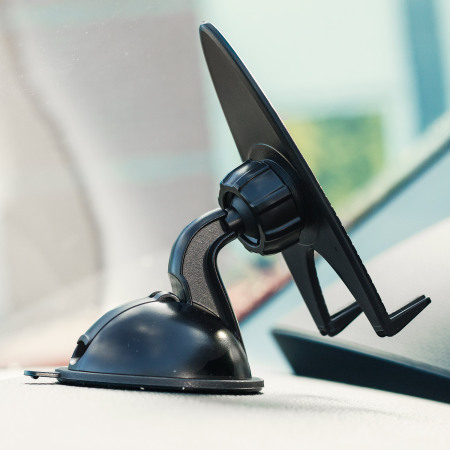 The ball and socket joint rotate through a complete 360°, making it easy to find a comfortable angle while driving. 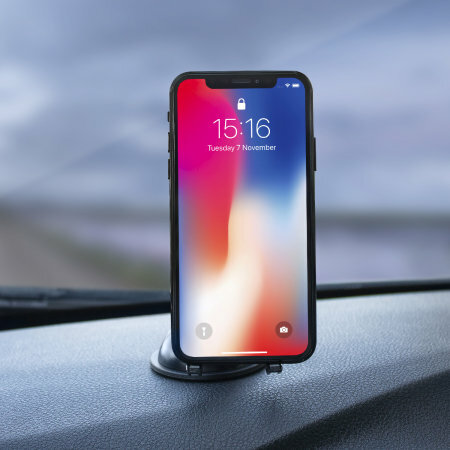 Ideal for one-handed use, the Olixar Dash Genie's open faced design means that you can simply place your phone in the holder, press it against the rubberised backing and you're ready to go. 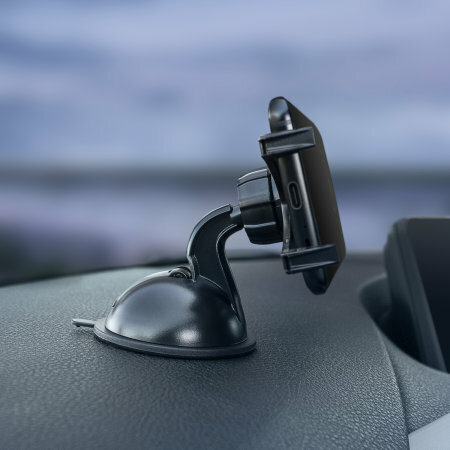 The suction pad features a unique lock switch, locking the holder on your windscreen so it won't fall off - even if you're going over bumps or going around corners. Ensures your device remains safe and secure at all times. As dust slowly builds up over time, the adhesive properties of the Olixar Dash Genie may reduce. Simply wipe the pad with a little water and wipe with a clean cloth. (be sure not to use solvents or alcohol wipes). This will restore the Dash Genie's magic holding properties. 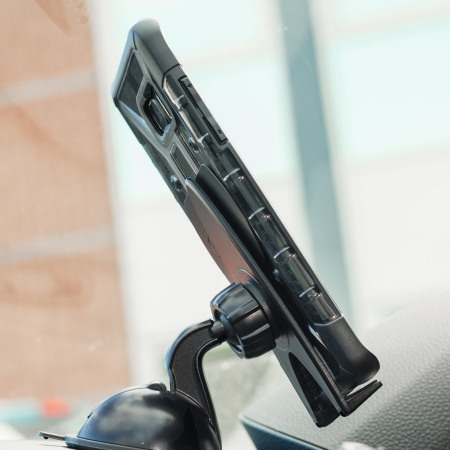 "Fully adjustable, the Olixar Dash Genie works well on flat dashboards and windscreens alike"